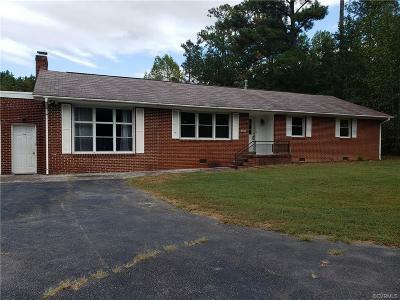 Gorgeous brick home on over 1 acre of land in Prince George County that is located within minutes of Ft. Lee, Colonial Heights, and Interstate 95. The property offers wildlife such as turkeys, deer, etc. Inside the home offers 3 bedrooms, 2 baths with a potential 4th bedroom. Sunken den/family room, laundry room, office, all season room and huge eat in kitchen. The possibilities are endless here! Directions: From Oaklawn Blvd To Jefferson Park Rd, House Will Be On The Left. From Courthouse Rd In Prince George, Follow Through The Round About And House Will Be On The Right.